Franz Maria Friedrich Graf von Silva-Tarouca was born on 13 July 1925 at LuschitzG. He was the son of Egbert Graf von Silva-Tarouca and Countess Eleanore Hoyos. He died on 24 April 1945 at age 19. Her married name became Gayer. Georgina Rose Wills was born on 18 April 1951. She was the daughter of Major John Lycett Wills and Hon. Jean Constance Elphinstone. She died on 26 April 1951. [S6] G.E. Cokayne; with Vicary Gibbs, H.A. Doubleday, Geoffrey H. White, Duncan Warrand and Lord Howard de Walden, editors, The Complete Peerage of England, Scotland, Ireland, Great Britain and the United Kingdom, Extant, Extinct or Dormant, new ed., 13 volumes in 14 (1910-1959; reprint in 6 volumes, Gloucester, U.K.: Alan Sutton Publishing, 2000), volume VI, page 595. Hereinafter cited as The Complete Peerage. Count Pavel Martynovich Skavronsky is the son of Count Martyn Karlovich Skavronsky and Maria Nikolayevna Stroganova.2 He married Countess Ekaterina Vassilievna von Engelhardt, daughter of Vassili von Engelhardt and Elena Aleksandrovna Potemkina. Emanuel du Chastel de la Howarderie, Comte du Chastel de la Howarderie was born in 1888 at Brussels, BelgiumG. He was the son of Adolphe du Chastel de la Howarderie, Comte du Chastel de la Howarderie and Marie Josephe von Croÿ. He died in 1915 at BoesingheG, killed in action. 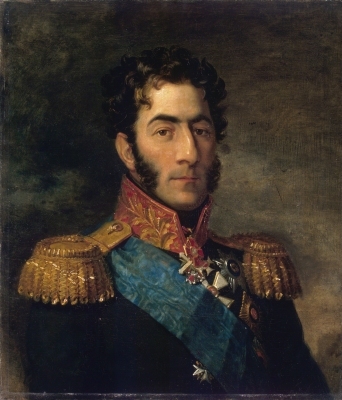 He gained the title of Comte du Chastel de la Howarderie. He fought in the First World War. Françoise du Chastel de la Howarderie, Comte du Chastel de la Howarderie was born in 1890. He was the son of Adolphe du Chastel de la Howarderie, Comte du Chastel de la Howarderie and Marie Josephe von Croÿ. He died in 1912 at Wez-VelvainG. 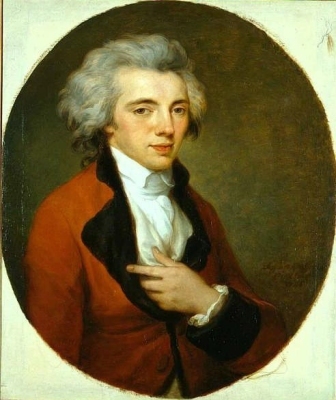 He gained the title of Comte du Chastel de la Howarderie. Ferdinand du Chastel de la Howarderie, Comte du Chastel de la Howarderie was born in 1892 at Wez-VelvainG. He was the son of Adolphe du Chastel de la Howarderie, Comte du Chastel de la Howarderie and Marie Josephe von Croÿ. He married Blanche de Coetnempren de Kersaint in 1919 at Paris, FranceG. He died in 1981 at Rouen, Caux, FranceG. Blanche de Coetnempren de Kersaint was born in 1891 at Paris, FranceG. She married Ferdinand du Chastel de la Howarderie, Comte du Chastel de la Howarderie, son of Adolphe du Chastel de la Howarderie, Comte du Chastel de la Howarderie and Marie Josephe von Croÿ, in 1919 at Paris, FranceG. She died in 1977 at Brussels, BelgiumG. François du Chastel de la Howarderie, Comte du Chastel de la Howarderie was born in 1924 at Brussels, BelgiumG. He is the son of Ferdinand du Chastel de la Howarderie, Comte du Chastel de la Howarderie and Blanche de Coetnempren de Kersaint. He married, firstly, Michelle du Roy de Blicquy in 1951 at Woluwe-Saint-Pierre, BelgiumG. He married, secondly, Regine de Liedekerke, Comtesse de Liedekerke in 1959 at Brussels, BelgiumG.